A tribute to the Victor Valley of 1870 to 1920, the Joshua Tree Chronicles is a mural on the landing between floors in the library at Victor Valley Community College. 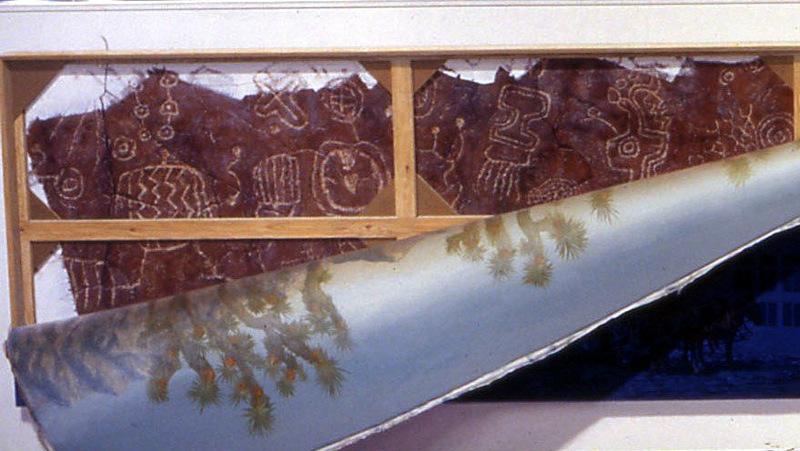 In it there are three layers symbolizing distinct subjects and times in local history. 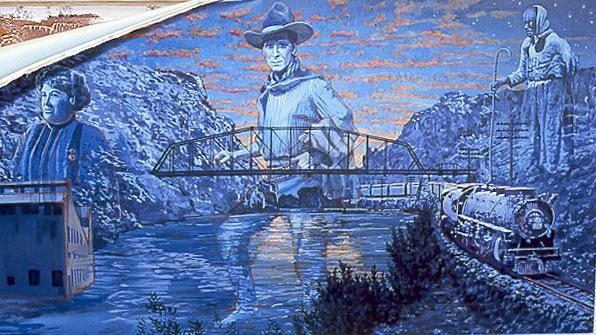 Closest to the viewer, on the front of the fallen canvas, three High Desert icons loom above the Upper Narrows of the Mojave River: Mrs. E.M. Potts, founder of the Golden State Portland Cement Co. in Oro Grande; William S.Hart, the cowboy actor, director and producer; and Maria Chapuli, known to locals as Indian Marie. Below the portrait of Potts, a cement plant salutes her contributions to industry. A horse and mule team and a railroad train represent Victorville’s importance as a transportation center. 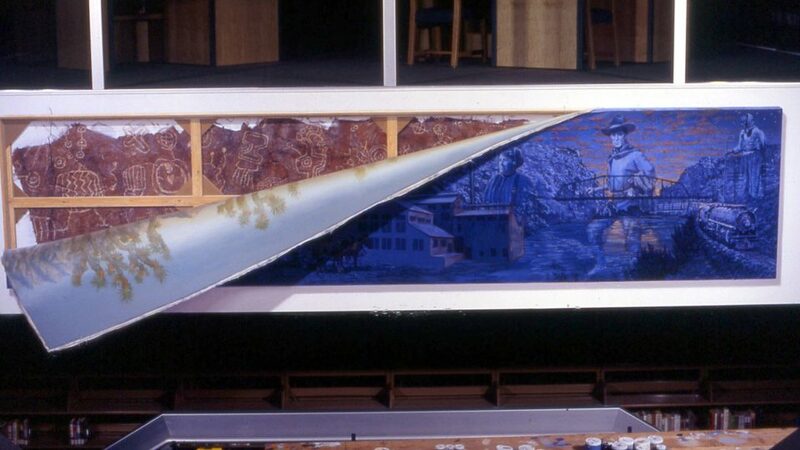 The second layer of the mural appears on the back of the canvas, revealed as it peels from the frame. In the style of an 1890’s circus poster, the image of oranges stuck to Joshua trees alludes to the wily land-developers who prettied up Joshuas in order to fool investors eager to get rich as citrus growers. Even if myth, the story: 1) is a good joke, 2) illustrates the importance of real estate to the Victor Valley economy.